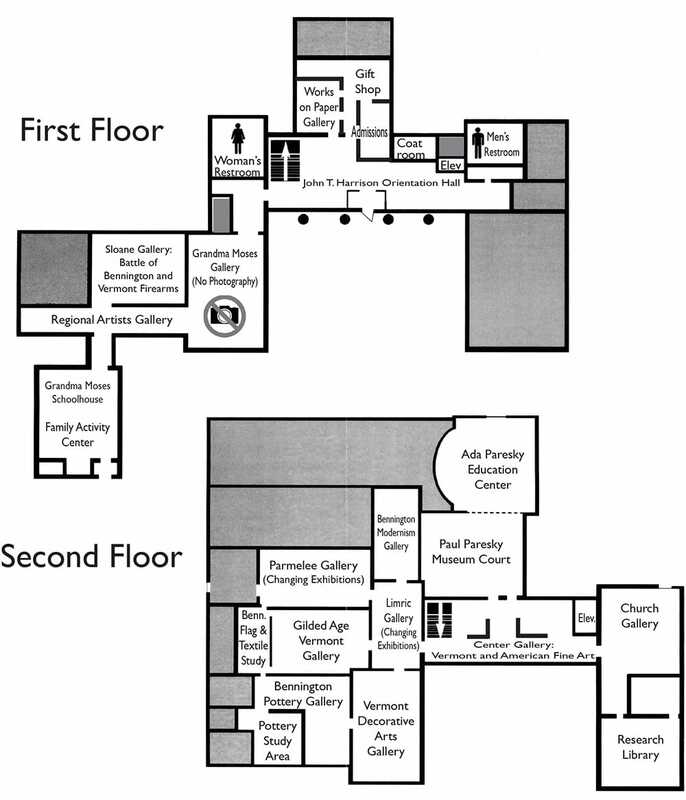 This map shows the layout of the two floors of the Bennington Museum. Please note that many of our galleries host changing exhibits so please know that at times some of the rooms may be in transition. View and download gallery map.